This cotton skirt measures 24″ from waist to hem. This skirt has a 4″ waist band and the waist measures 30″ with a 7″ hidden side zipper. 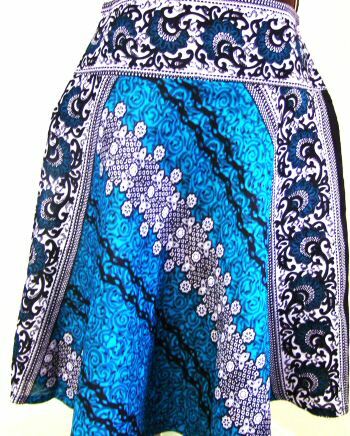 We had this skirt specially made for 1stafrican clothing and it’s one of a kind.